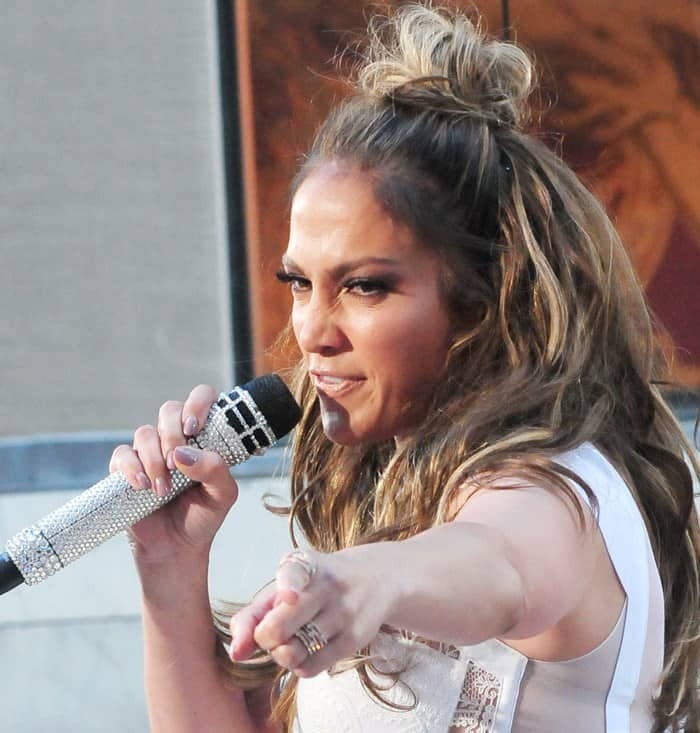 Jennifer Lopez is taking bedazzling to a whole new level. The singer has been making rounds to promote her latest single titled “Love Make the World Go Round.” J. Lo recently delivered a wonderful performance for NBC’s “Today Show” audience in honor of the Orlando Pulse nightclub victims. The 46-year-old pop star wore a skimpy white ensemble that showed off her fit body. She also showcased a personalized microphone that was embellished with sparkly crystals all over. The glitzy mic was the perfect accessory for her white-on-white performance costume. 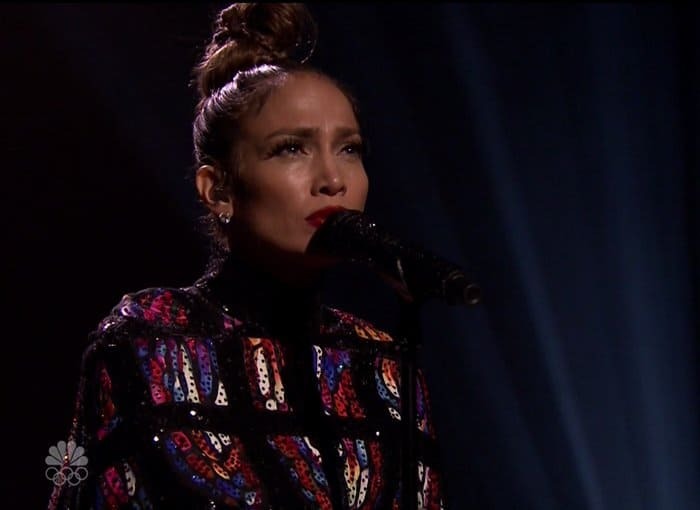 While crystal embellished mics and outfits are nothing new for performers, we absolutely love J. Lo’s style – glam and not at all tacky. 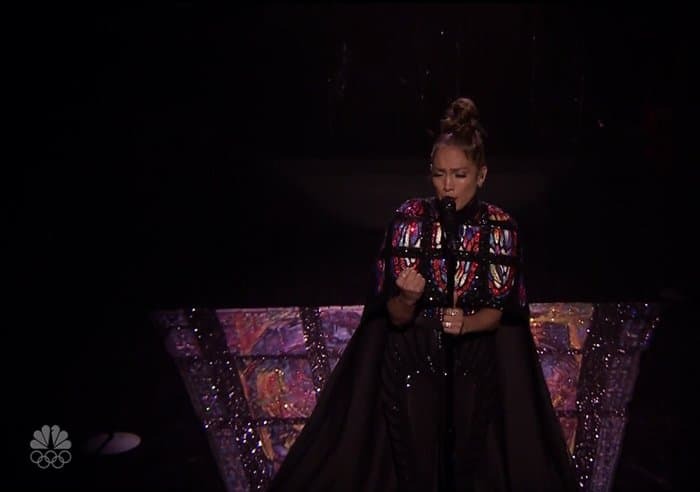 Just a couple of days after her “Today Show” performance, Jennifer made headlines when she performed at “The Tonight Show” wearing a stunning creation from Filipino designer Michael Cinco. 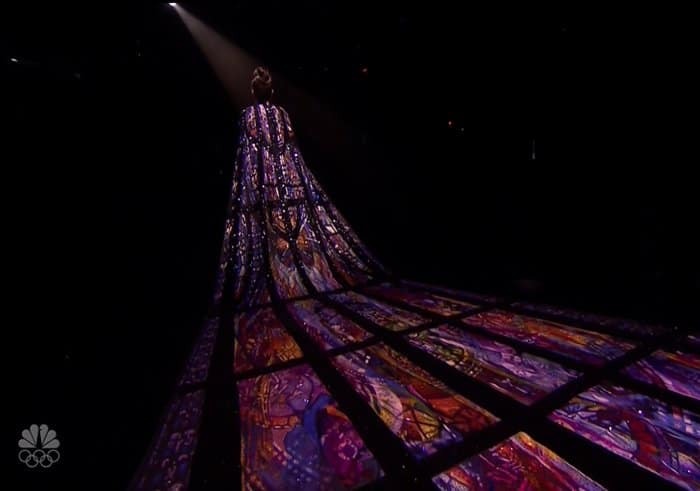 The outfit was a Swarovski-embellished cape with a long train that resembled stained glass Cathedral windows. More than 10,000 differently colored Swarovski crystals were handsewn into the cape, and handmade silk embroideries were also included in the design. According to the designer, it took a team of 100 people around six months to finish the outfit! All that effort, however, was worth it because the results were just spectacular.